The SEBI chief is worried about poor retail participation. The regulator and the exchanges are alone responsible for this. Will anything change? The Securities and Exchange Board of India (SEBI) has finally woken up to the fact that it has fallen short in its key role to develop the capital market and increase the base of investors. Today, SEBI chief UK Sinha admitted as much, saying that the market regulator would take steps to get retail investors back into the market. While the new SEBI chief's policy changes are well-intentioned, the measures to be taken would make sense only if they are grounded in reality. We will be keenly watching what SEBI does, for Moneylife alone has been highlighting how investors have been pushed out of the capital market system by a combination of factors. In India, the retail participation in the stock market has declined from 20 million in the 1990s to 12 million in 1999, and just around 8 million in 2009, according to official data, this despite the fact that the Sensex has grown by 20 times during this period. As a percentage of the total population, the retail investor participation is just 1.3%, whereas in the US and China it is 27.7% and 10.5% respectively, according to the Bimal Jalan Committee report. The SEBI chief has targeted an optimistic figure of 8% for retail participation in India. As has been pointed out by Moneylife repeatedly in the past, the decline in investor participation is due to many complex issues for which the regulator and the stock exchanges are squarely responsible. This cannot be resolved by making just one or two policy changes. The market is riddled with problems ranging from the difficulties for investors in opening a demat account to price manipulation, poor grievance redressal and the lack of proper guidance. Retail investors face a tough time, and to add to this they are taken for a ride by greedy investment advisors. In August last year, Union minister of state for finance, Namo Narain Meena, revealed in Parliament the reality of the Indian 'equity cult'. He said around 50% of the cash market transactions on the National Stock Exchange (during April-June 2010) came from a shockingly low 451 investors, of whom 156 were proprietary traders, while 50% of the trading in NSE's derivatives segment came from just 106 investors of whom 58 were proprietary traders. Only 6% of client accounts contributed to 90% of the trading in the cash segment. 80% of turnover came from just 41,654 investors. In other words, 1,50,546 investors (78%) accounted for just 10% of trading turnover. To open a demat account an investor has to go thorough cumbersome KYC procedures. Along with this, the customer has to sign on numerous forms, many of which they sign without asking too many questions. The charges involved in opening and maintaining a demat account are not in favour of the retail investor either. Investors have to cough up nearly Rs550-Rs3,500 just open an account and then there are account maintenance and transaction charges. Brokers usually ignore those with small investments and look for investors with bigger pockets, as they earn higher commissions on the later. The power of attorney (POA), which gives brokers the power to operate their clients account for conducting trades, is often misused by the brokers. In August 2009, an individual from the brokerage firm India Infoline was arrested for conducting unauthorised trades in an investors' account that led to a loss of Rs13 lakh for the investor (Read, Harassed Investors.) This is taking place in spite of the lengthy and complicated procedure of creating a demat account and is a de-motivation for the investor. The issues related to demat accounts, mis-selling, and PMS can be tackled to some extent with proper investor education. But, issues like price manipulation, corrupt accounting practices and over-pricing and incorrect grading of IPOs, are issues which cannot be controlled by the investor. It is the job of the regulator to take stern action against such malpractices. But, SEBI has not seriously pursued investor protection. Investor protection is one of the primary objectives of SEBI. But, its grievance redressal system is not up to the mark. In May 2009, the chief information commissioner (CIC) under the Right to Information (RTI) Act had severely criticised the regulator's handling of investor grievances. The CIC said that SEBI was not providing the right support to information-seekers and rejected requests even when it had the power to obtain details from stock exchanges. "The response of the regulators in India has been knee-jerk and panicky. Instead of trying to punish wrongdoers after in-depth investigation and sensitivity to market practices, the regulators have only succeeded in eroding investors' confidence in the market by high-profile arrests and media hype," says Deena Mehta managing director, Asit C Mehta Investment Interrmediates, and one of the three trading member-directors on the board of the Bombay Stock Exchange. Thank for posting this article which is exacting what Im searching, I ll be great if moneylife team write a article on whether rajiv Gandhi equity saving scheme (50 % tax exemption on capital gain for retail investors those who invest upto Rs.50000 with a lock in period of 3 years ) really a good initiative to attract and increase retail participation in stock market , and clarification with regards to the scheme. Great Read.. Ya it is really sad to see such low retail participation. NSE and SEBI are trying to push financial literacy programs with tieups with some universities but does not seem to yield satisfactory results. Retailers need to do some basic research and move towards informed trading from tip based trading/investment. To me it looks a grave chance of regaining the lost faith of investors in this financial market which has been more regulated by greedy promoters and operators then any body else.Most of retail investors have lost hugely or those lucky ones who made money have made it by luck(NOT BY THIER MARKET ANALYSIS )because fundamenatls have very rarely worked in this market. i am again sure it is very tough to regain lost confidence of investors who have burnt their fingers in this fireball. It will take very long term action on regulators to make RETURN of investors who have LEFT this CASINO. Why retail participation in decreasing ? .Only one reason - retailers are loosing money in stock market . One main reason is the wrong advice of Broking firm staffs. They only need more trades to create volume for themselves . Since broking firms reduced their brokerage drastically due to competition they are forced to advice clients for unnecessary trades to generate more brokerage. Any industry can't survive long like this. So there should be some minimum brokerage as in the case of maximum brokerage. If there is something like this, many of the unnecessary trades will be avoided and retailers will make money. 8 million retail investors in a country of 1250 million works out to mere 0.64% of the population. To achieve the target of 8% penetration, we have to increase the investor base by another 12 times. A road map and action plan needs to be evolved in discussion with industry, investor forums, advisors etc. First we’ve to stop the erosion of the investor base and then work towards bringing in more people. The initiative should go beyond the investor awareness programs conducted by broking houses and AMCs. The existing initiatives lack depth and penetration. 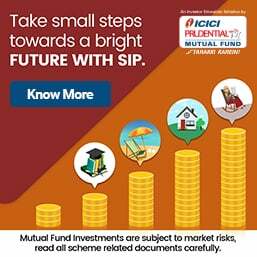 One suggestion I can give to SEBI in order to increase retail participation over the long term is to lobby with the Ministry of Finance to increase the limit under Section 80C of the Income Tax Act, 1961 to at least Rs.3 lakhs from the present Rs.1 lakh for ELSS Mutual Fund Schemes (which sadly is expected to become ineligible from April 2012 when the new Direct Tax Code kicks in). I have said this to heads of AMCs as well but have not yet found any concrete reply to what any of them are doing to at least attempt to get this done. Increasing retail participation in equity can even help the Indian equity markets get some depth and not be dependant on the whims of FIIs. I agree with all the points raised by Money Life for increasing retail participation in India.I have one more suggestion. We are going to have a very high youngsters, coming out of colleges and start earning in a growing economy with good disposible income. We should start financial education in the colleges in a bigway.I have seen,candidates coming out of many colleges lacking even the basis of financial knowledge.To them, the only investment is bank deposit.If we can impart basis financial education in the colleges, it will help in a big way towards improving retail participation. When all other country Pension Funds and FIIs are believing in India and investing in Indian equity market, it is pathetic to see that only 1% of Indians are investing in it. We are good savers, but bad investors! Well said, I agree with your kind suggestions. The RBI (Reserve Bank of India) keeps a track on the percentage of dishonoured instruments cleared under the ECS of all banks. The ECS allows paperless direct credit and debit transactions for all banks. However, if a bank crosses the limit of instruments dishonoured under the ECS, the RBI asks the respective bank for an explanation. According to the apex bank, "3%-5% is the tolerance level on a daily basis. At times when it goes up to 30%-40%, we ask the bank to find out about the particular accountholders whose instruments are not being honoured under ECS." Often, banks are not aware about the accountholders who are repeatedly dishonouring their financial instruments as ECS is transmitted in bulk to the clearing house. The main problem is that even if one of the ECS instruments bounces, then it affects two or three banks at a time. It affects the ECS user bank, the ECS beneficiary bank and the destination bank to which the amount has to finally get transferred. In a letter addressed to ICICI Bank, a copy of which is with Moneylife, the RBI has said: "Please refer to paragraph 2 of the Minutes of the General Body Meeting of the Chennai Bankers Clearing House (CBCH) held on August 2, 2010 and our letter dated October 28, 2010 relating to return clearing discipline. In pursuance of the instructions contained therein, it has been decided to invoke penalty @Rs. 1000.00 per return for the month of January. The number of MICR and as well as RECS (Dr) returns of your banks has since been generated from the system and the details are been given in annexure. After deducting the tolerance of 4% and 5% on MICR and RECS returns respectively, a penalty of Rs 39821000.00 (Rupees Three Crore Ninety Eight Lakh twenty One Thousand only) is proposed to be imposed on your bank for non-adherence to the return discipline. You are hereby advised to put forward your case as to why Rs 39821000.00 (Rupees Three Crore Ninety Eight Lakh twenty One Thousand only) shall not be imposed on your bank. Your response should reach this office on or before 15 days from the issue of this letter, failing which it shall construed that you have nothing to report and accordingly the Bank shall proceed with a suitable action." We gather that several other banks have been pulled up in a similar fashion. Thus, the RBI has defined a definite tolerance level beyond which it would charge a bank a certain fine on each rejection. That is why the RBI has threatened to charge a Rs3.98 crore fine for ECS dishonour beyond acceptable limits on ICICI Bank. 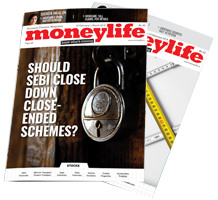 Moneylife spoke to the RBI for clarification. The central bank spokesperson said, "There were several banks that were not adhering to what we call 'return discipline' in Chennai and the notice was issued to all of them. The fine amount, though, varied. The purpose of the show-cause notice was to shake the banks out of complacence and to ensure that the rate of 'returns' fell within our comfort zone (and not really to collect fine amounts from them). There is significant improvement in the position now and we are not pursuing the penalties with the banks." It was only after receiving the letter from the central bank that banks started screening accounts and transactions and are stopping all ECS debits. ECS is a mode of electronic funds transfer from one bank account to another using the services of a clearing house. This is normally utilised for bulk transfers from one account to many accounts or vice-versa. This facility can be used both for making payments like distribution of dividend, interest, salary, pension, etc. by institutions or for collection of amounts for purposes such as payments to utility companies (telephone, electricity), or charges (house tax, water tax), etc or for loan instalments of financial institutions/banks or regular investments of individuals. The ECS user bank is called the 'sponsor' bank under the scheme and the ECS beneficiary accountholder is called the ECS 'beneficiary' bank. The destination account holder's bank or the beneficiary's bank is called the 'destination' bank. The beneficiaries of regular or repetitive payments can also request the paying institution to make use of the ECS (Credit) mechanism for effecting payment. Ecs transfer if money through fraudulent method by just dial has to be stopped. Just dial misusing this ecs sucking money from struggling class. Want to stop ecs transfer to just dial through hdfc. RBI please help. So many of us are caught in the web of ECS transfer by just dial account through hdfc. So many complaints to the bank. Bank is not bothered to stop payment ti just dial. Bank did not even inform us about the ecs transfer. They have not taken our permission. Not stopping after we found and informed the bank. It is heartening to observe that the banking watch dog is at long last barring its teeth to bite rather than merely bark as it was doing in the not so distant past. What will RBI do in case of ICICI, SBI and other bankers who have exceeded their exposure to lending to RIL? Why will RBI not take the punitive action? What do you mean that banks are not aware of the account holders who are dishonouring their instruments under ECS? Manager accountholder nexus, no data collected, dont have manpower, these are common excuses. If RBI made the law then enforce it and use it for betterment rather than be lax. Normally it is said that ECS credits are done within 3 days. Recently the Income Tax refund of my spouse took more than 3 weeks to get cleared in Bank of India. The bank says they credit it immediately when the fund arrives. In these cases we as account holders feel helpless since the IT sms says they have sent the ECS on a particular date. The Bank says they have no control over this! Dear Subrata Sir - It is not correct to blame RBI for this mess as it is trying to discipline the banks. RBI has adequate profits they need not stoop so low for such profits. Account holders are also responsible, apart from reason for technical returns (such incorrect name etc. ), non maintenance of balance in the account is also the reason due to such high returns. In number of cases account holders give ECS mandate for payment of phone bills, electricity bills, loan instalments and other standing instructions and in number of cases they change the bank accounts rendering the account in operative/ dormant/ inadequate balance. This paper less scheme if implemented property can go a long way in reducing import cost as MICR paper on which cheques are printed is fully imported. In fact there is no much difference between bouncing of cheques for inadequate balance and/or return of ecs mandate and RBI is right in its move to discipline account holders for such indiscipline provided this penalty is ultimately recovered from account holders. The ECS user banks need to activate their own monitoring systems to monitor their clients who issue cheques indiscriminately without funds and are chronic defaulters, they need to be disciplined with heavy penalties. I would like to bring a corollary issue to the attention relating to REJECTING of direct credits to account holders especially with Mutual Fund redemptions when there is ANY DIFFERENCE in the Full / Abbreviated name / initials, even in genuine cases (as it seems the existing system probably CANNOT differentiate).My clients have suffered EXTENSIVELY in the last one year due to this.However, it will be a great surprise to you that this has REPEATEDLY happened when HDFC AMC is making redmptions to bank a/cs with NON HDFC banks while it is NOT happening if it is to a HDFC bank a/c!! The delinquent account holders in turn should be penalised suitably. This measure will not only reduce the return rate but also fake and fraudulent attempts, if any. As long as it is not Kite Flying I dont think RBI should intervene. Maybe that's their way to boost the bottom line. I have not seen any innovative mechanism this RBI FY to cover their trading losses. Or is it a trading profit year ? News reports today highlighted cases against three big names in the Indian corporate world that should be a wake-up call for companies, auditors and regulators. They are State Bank of India (SBI), Wipro and Vedanta-owned Sesa Goa, all three dogged by wrongful accounting that was apparently ignored by the auditors. These cases are all the more significant in the context of the Satyam Computer fraud, India's biggest corporate fraud that was revealed in January 2009. SBI was named in one of the reports today, for deviations the Reserve Bank of India (RBI) has detected in the sanction of bridge loans to some telecom companies. Some telecom firms are under investigation over the out-of-turn allocation of lucrative licences. According to the report, SBI sanctioned a bridge loan of Rs2,500 crore to Unicor without identification of any financial institution for part-financing capital expenditure, pending tie-up of long-term project finance. Also, there was no committed financial tie-up at the time of disbursement of the money, and the roll-out should have been completed within a year of getting the licence in February 2009. A year later, SBI sanctioned a regular term loan of Rs9,475 crore for the entire project, Rs2,850 crore of which was to replace the earlier bridge loan even when there was no committed tie-up in place. While the remaining Rs6,625 crore was not released, the bridge loan rolled out till December 2010. Similar bridge loans/bank guarantees were extended to Loop Telecom (Rs725 crore), Datacom Solutions (Rs1,100 crore), Swan/Etisalat (Rs395 crore) and they were either adjusted against regular loans later on, or rolled over. Reliance Communication was sanctioned an unsecured corporate loan of Rs2,500 crore as capex, without any assessment of the credit requirements, even when unsecured loans of this scale were simply not permitted. The Wipro embezzlement case has gone a step further, with the US Securities and Exchange Commission (US SEC) raising doubts about the competency of company's auditors. According to a report, the US SEC has asked Wipro to prove that its auditor, KPMG India, is independent. In the event that the IT firm is not able to fulfil the directive, it could have to appoint a new auditor and even get its business books audited all over again. Wipro had delayed filing its annual report for 2010 with the US regulator due to an investigation into alleged embezzlement of an estimated Rs32 crore, by one of its employees. In the third case, the Ministry of Corporate Affairs' Serious Frauds Investigation office has reportedly recommended the prosecution of mining company Sesa Goa on nine counts, for over-invoicing imports by Rs14.60 crore, sales by Rs42.51 crore, exports by Rs1,002 crore and excess payment of agency commission of Rs40.60 crore. The fraud office has also accused the company's independent directors and statutory auditors for not co-operating in the investigation and recommended that they be prosecuted as well. These are serious deviations constituting misdemeanours by responsible officials of the companies' managements and dereliction of duties by the statutory auditors that does not augur well for corporate governance. Something, that the auditors' body, the Institute of Chartered Accountants of India, will have to look at closely as will the regulators, the RBI and the Securities and Exchange Board of India.